Unsurprisingly, the CIA’s own inspector general concluded that the torture program failed to produce any significant actionable intelligence; and I testified to the same effect under oath in the Senate. What’s worse, the program has gotten in the way of justice: To this day, we cannot prosecute terrorists such as the masterminds behind the USS Cole and 9/11 attacks, in large part because the evidence against them is tainted by torture. 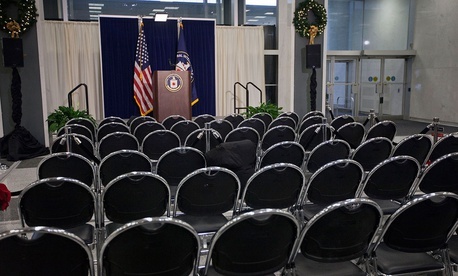 Against this backdrop, it is reasonable to ask the nominee: What does she think about the techniques used under her supervision? Did she condone torture at the time, or was she just following a superior’s orders? How, if at all, have her feelings changed over the years? Does she stand behind the attempts to mislead the public as to the techniques’ effectiveness? These are important questions, and they will need to be explored in detail at Haspel’s confirmation hearing. But the fact that Haspel once presided over torture is actually not the most troubling aspect of her record; for it is also an established fact that she later participated in an attempt to cover up the torture techniques. In 2005, Jose Rodriguez, the CIA’s counterterrorism chief, ordered the destruction of some 92 videotapes of the harsh methods being used on al-Qaeda suspects at the black site Haspel had once run. Rodriguez issued this order in defiance not only of the CIA’s own general counsel at the time, John Rizzo, but also of a federal court order. And to draft the cable ordering the tapes to be thrown into an “industrial-strength shredder,”Rodriguez turned to his then-chief of staff—Haspel. Rodriguez was later criticized for his actions by the CIA’s inspector general; but true accountability—for the torture program itself, as well as for the destruction of evidence—has proved elusive. This gives rise to another set of questions that will need to be pressed in the Senate. Was Haspel pleased with the order she drafted, or troubled by it? Does she stand by Rodriguez’s public justification, that he was protecting the lives of his operatives, or his private one, documented in declassified emails, that the tapes would make him and his group “look terrible”? Above all, if the torture program was so valuable and necessary, why destroy the tapes at all? Haspel’s apparently positive view of torture was by no means universally shared within the CIA, even at the time. Again, I know from personal experience that many professionals within the agency courageously chose to stand up against the enhanced techniques, walking away from black sites in protest and registering a large number of complaints that eventually led to the inspector general’s report. And yet today, the candidate for the top job at the agency is someone who willingly participated in both the program and the attempted cover-up. We need to consider what kind of message this sends to people in the intelligence community and the wider government. Do things right, stand up for American values, and you will be ignored. Flout them, and you will be rewarded. Sadly, the lack of accountability we have seen over torture has become a theme in recent years. Sixteen years after 9/11, we still do not have a full picture of the events leading up to that terrible day; for example, while important intelligence was kept from my team investigating the Cole attack—intelligence that the 9/11 Commission concluded might have stopped the attacks—Americans still do not know why it was withheld. Similarly, there has been no real reckoning for the decisions that gave us the Iraq War, now almost universally acknowledged as a costly and unnecessary travesty that bolstered al-Qaeda and helped to produce the Islamic State. Nor is this culture of impunity limited to the war on terror. Just this week, the House Intelligence Committee shut down its investigation into Russian election meddling—a probe the committee pursued so half-heartedly that it failed even to call George Papadopoulos, the campaign aide whose Russian contacts prompted the investigation in the first place. At a time when public figures face next to no repercussions for their actions, Americans should not be surprised to see their international adversaries more or less openly manipulating American politics. In the short time since Haspel’s nomination came to light, a number of her agency colleagues have praised her as a great operative and administrator. That may well be the case; but truly great people can admit to their mistakes and engage in a discussion of how best to avoid them in future. The same goes for truly great nations. It would be nice to think that the upcoming confirmation hearings might help turn the tide back toward accountability.